Mauna Loa volcano is one of five volcanoes that form the Island of Hawaii in the Pacific Ocean. Mauna Loa has is the world’s largest subaerial, its most active giant shield volcano. Location: 19.475 N 155.608 W.
Elevation above sea level: 4,170 m.
Hawaii Mauna Loa Volcano Eruption&Lava Flow. Video. 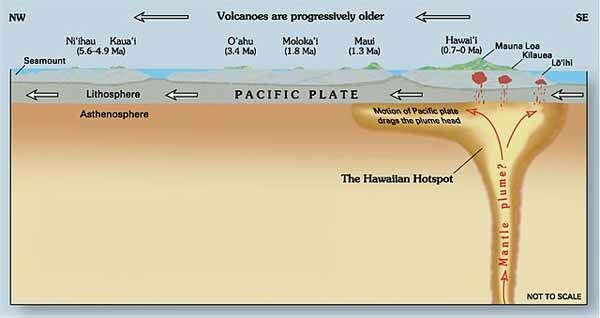 Posted on December 23, 2015 August 21, 2016 Categories Hawaii hotspot, Hotspot Videos, Videos, Volcanoes1 Comment on Mauna Loa Volcano, Hawaii. The origin of the Reunion Island is commonly attributed to a mantle hotspot. According to certain scientists, this hotspot first created the Deccan Traps, a large basalt province in India, about 65 million years ago. Its trace corresponds to Chagos-Lacadive Ridge, Mascarene Plateau, and Mauritius Island (created between 18 and 28 million years ago). 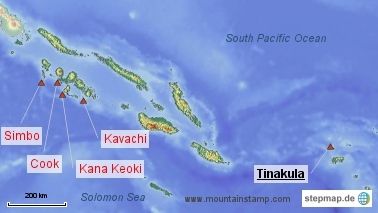 Reunion became active about 5 million years ago, reaching the surface about 2 million years ago, and is the youngest island originating from this hotspot. Piton de la Fournaise is a basaltic shield volcano on the eastern side of Reunion Island in the Indian Ocean. Piton de la Fournaise is one of the most active and the biggest volcanoes on Earth, along with Kilauea in the Hawaiian Islands (Pacific Ocean), Stromboli, Etna (Italy) and Mount Erebus in Antarctica. From the ocean floor, it is over 6,600 m tall. The base of the volcano has a diameter of 220 km. 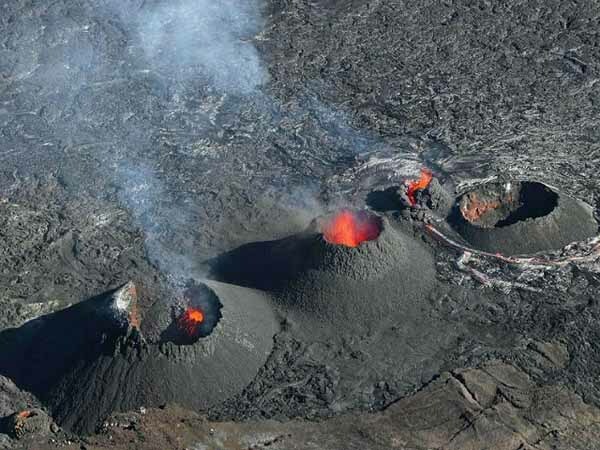 Location: 21.23 S; 55.71 E.
The Enclos Fouque, a caldera 8 kilometers wide, occupies the top part of the volcano. High cliffs known as remparts form the caldera’s rim. The caldera is breached to the southeast into the sea. It is unstable and is in the initial stages of failure. It will eventually collapse into the Indian Ocean to form giant landslides like those in Hawaii. Three calderas formed at about 250,000, 65,000, and less than 5000 years ago by progressive eastward slumping of the volcano. Numerous pyroclastic cones dot the floor of the calderas and their outer flanks. Posted on December 21, 2015 August 21, 2016 Categories Hotspot Videos, Reunion hotspot, Videos, VolcanoesLeave a comment on Impressive Piton de la Fournaise volcano Eruption. Reunion Hotspot.